The current Torah readings discuss the life of our patriarch Avraham, referred to as the first Jew. Last week, the section of “Lech Lecha” opened with Avraham receiving a command to journey from the comfort of his birthplace to the unknown, “the land that I will show you.” This week opens with “Vayeira,” in which G d reveals Himself to Abraham three days after his circumcision. The soul — loosely defined as the bridge between our experiencee of the body and the physical world around us, and our experience of divinity — has three main modes of expression: thought, speech and action. Simply put, our personality is reflected in how we think, what we feel and what we do. In the very first Torah portion about creation, the commentaries explore the defining feature of a human. The natural selection is superior intellect and wisdom. Indeed, thought is potent — our mindset has a powerful influence on the outcome of any action. But in the Holy Tongue (Hebrew), a human being is called a medaber (a speaking being), indicating that, more than any other trait, the faculty of speech reflects our primary distinction. The esoteric commentaries explain that the natural willingness and ability to share thoughts and feelings with another is sublimely rooted within the soul, stemming from a place inside that recognizes no boundaries — no separation between one individual and another. When someone is precise with language, capturing images and fleeting reality in words for the sake of transferring light (wisdom and information) to uplift another person, then he or she has utilized this garment of the soul on the highest level. Then comes action — what we choose to do — which seems to be the most external feature of our personality, largely removed from the intense color and vitality of the inner world. At the same time, action is the garment with the most tangible impact on the environment. For us to be whole, we must continually sort through and upgrade how we use these three modes of expression, often deciding where to place priority. When it comes to the emotion of love, for example, people may assess it in different ways. Is love primarily measured by one’s experience or displays of emotion? Or is it measured more simply, by whether someone adheres to the other’s wishes through action? In the spiritual arena, the notion of “a covenant” focuses mainly on doing, regardless of what’s experienced in the moment. Indeed, the real test of commitment within any relationship is what you do when you aren’t enthused or inspired, or even when you are pulled in the opposite direction. When beginning to study, a Jewish child encounters a series of rich stories within our tradition, relating Avraham’s growth — progressing from an idolatrous upbringing into a profound intellectual investigation, arriving at the recognition of a singular Creator, showing the courage to stand against the prevalent culture of the time and sharing his insights with the multitudes. We often take the above episodes for granted. It’s strange, however, that within these passages of the Torah, there is no mention, not even a brief introduction, about Avraham’s character. Our first encounter is the divine instruction (and his submission) to “leave your land…” Moving into this week, the style of the Torah is rarely to describe his thoughts, disposition and emotions. All this is reserved for accompanying commentaries and midrashim, while the scriptural verses focus on action, self-sacrifice and withstanding tests. One explanation of this omission of literary content is that the Torah is sending a message for all generations: Notwithstanding the merit of individual elevation, contemplation and spiritual experience, the starting point of Judaism is listening to “lech lecha,” being able to take the personal journey that is not always comfortable or understood. While knowledge and inspiration vary from one individual to the next, the connection to God through the simple fulfillment of a mitzvah is in a distinct category. Like the first instruction, each mitzvah we encounter is an opportunity to unite divine desire with human action. The essential quality that fuels action is commitment. Commitment is the ability to dependably override what you may feel for the sake of what you believe is right — adhering to a purpose or principle beyond your immediate desires. Similarly, the characteristic that surfaces in the continuation of Avraham’s life is blind loyalty, which may be taken as a deficiency. But there’s another way of viewing the simplicity: as a virtue and the foundation of a relationship. After having determined one’s beliefs, ideals and purpose, there will always be temporary moments of darkness, where the inner resolve to move forward — to act despite any lack of enthusiasm — must be employed. The term for this quality in Jewish literature is “kabalat ol” (acceptance of the commandments), a commitment that joins faith to action. This quality demands (and evokes) more strength than any other. When implemented, that power also flows into other faculties to provide an internal boost. If, for example, using only the intellect will take a person to a certain level, by tapping into the energy of commitment, the mind is able to function more smoothly. That’s one reason why somebody who is motivated in a certain area will automatically grasp it better. Or, on a lower level, why discipline in a craft can paradoxically generate more creativity. A clear message from this week, then, is that God values buy-in. He wants us to trust Him and sincerely try, for a while, to get in the habit of not demanding endless miracles in return on a timeline that we dictate. But whether in one’s own experience or that of the Jewish people, once we take enough sincere steps in that direction and stop thinking about the quid pro quo, we receive opportunities to see the divine hand at work, when we least expect it. Returning to our opening theme, Avraham first recognized his Creator (thought process), then he spread his teachings (speech) and finally performed circumcision (deed). Ever since the Torah was received, however, the spiritual development of a Jew moves in the reverse order: from action (refinement of the body), to speech and, finally, study (thought). I’ve been wondering about the Hebrew letter shin on the mezuzah cover. Could you please fill me in on its significance? The letter shin on the mezuzah case is reflective of the name of God, Sha-Dai, which is written on the back of the mezuzah parchment and begins with the letter shin. On the inside of the mezuzah are the two paragraphs of the Shema; on the back, that name of God. This needs explanation. One reason that name is written there, explain the Rabbis, is to hint that God promises to protect and watch over the home of a Jew who affixes a mezuzah on his doorway. The Talmud says that our King stands outside our homes and protects us, unlike a mortal king whose subjects stand outside his palace and protect him. The meaning of this is that the creations of God, Who is infinite, innately strive to infinity and perfection. God, however, did not want to create a perfect world. He desired an imperfect world in order to leave room for man to partner with Him in perfecting the universe, which is our part in “tikkun olam,” enhancing the world. If it was already perfect, we would have no purpose and no way of earning reward. The first mitzvah Abraham was commanded was bris milah, circumcision. It was proceeded by God telling him “I am E-l Sha-Dai; go before me and be complete.” This is the first tikkun of an imperfection, to remove the foreskin, manifesting our partnership with God’s name of Sha-Dai. Ultimately the prime place in the world where a Jew perfects the world is in the Jewish home. That is the place where we sanctify the mundane, elevating all of our everyday life activities to the holy and sublime by living according to the laws of the Al-mighty. The Jewish home, much more than the synagogue, is the pinnacle of a Jew’s tikkun olam. We are reminded of that every time we walk into our doorways, by the mezuzah. By remembering God every time we pass through our doorway we are reminded of His presence both outside our homes, as our Protector, and inside our homes, resting His presence in all that we do. For this reason, every door in the house needs a mezuzah. For there isn’t an area of life, whether the kitchen, bedroom or living room, that is bereft of kedushah, holiness. This is another reason why we have the name Sha-Dai on our mezuzah, reflected by the shin on the cover, to serve as a constant reminder that we are to live our lives as partners of God, and in all that we do to create a tikkun olam and a kiddush Hashem, a sanctification of God’s Name. A graduate of my high school has just won a Nobel Prize. I’m holding before me a front-page clipping from the Pittsburgh Post-Gazette and looking at the smile (is it triumph? or shock?) on the face of Frances Arnold, 62, now a California Institute of Technology professor of chemical engineering, bioengineering and biochemistry. She is one-third of a trio honored for “harnessing evolutionary principles to create new proteins.” The other two are men. She is only the fifth woman ever to score a chemistry Nobel; the most recent before her was almost 10 years ago. So, what can I say except: What happened to all the rest of us who went to Taylor Allderdice? It was, and still is, a public school, a neighborhood school. It always did, and still does, have an excellent academic reputation — such that people with children often factor that into their home-buying choices. But — a Nobel? In my own class — which exited those somewhat hallowed halls more than two decades before Dr. Arnold graduated — was a young man who received his doctorate in art history from Yale and retired after a long career as director of the Frick Museum in New York City. I thought that was tops — but not a Nobel. Arnold distinguished herself at Princeton and is now one of the few, according to the news release, who can claim simultaneous memberships in the National Academy of Sciences, the National Academy of Medicine and the National Academy of Engineering. What a surprising list of achievements. But what’s even more surprising is what the achiever says herself about her high school days: “I didn’t take chemistry then. I was too busy cutting classes.” Talk about late bloomers. And she wasn’t a child of wealth and privilege, either: While she was at Allderdice, she worked part-time at Walt Harper’s Attic, a Pittsburgh club owned by a mildly nationally known local jazz pianist. And after graduation, before college, she drove a Yellow Cab. Iris also had a humble childhood; her father owned and operated a neighborhood hardware store, known citywide for the kind of appealing disarray that led to a sort of cult belief: Virtually anything could be found on its shelves if one only looked long enough. Which was probably true. So, her literary achievement is not to be looked down upon. Still — it’s no Nobel. Dr. Arnold’s big prize comes from “harnessing the power of evolution,” according to Goran K. Hansen, who is secretary-general of the Royal Swedish Academy of Sciences. Her work is being used to create sustainable biofuels, the Academy says, thereby “contributing to a greener world.” And now, for the winning statistics: The Nobel Prize in Chemistry has been awarded 110 times to 180 individuals since 1901 — a quite small but incredibly distinguished collection of scientists. It’s now obvious that somewhere along the line, after a lackluster high school career, Allderdice’s winner somehow took to heart the motto that stands forever, carved in stone over our school’s main entrance even before its doors first opened in 1927: “Know Something. Do Something. Be Something.” Or maybe not. Maybe it just happened. Sometimes in life, things just happen. I suspect this Nobelist’s next honor will be election to the Taylor Allderdice High School Hall of Fame. Given her record there, plus her Nobel, she may just laugh at this. But she may embrace it. I’ll never know. Still, I’ll always be wondering: What in the world happened to the rest of us? Congregation Shearith Israel will erupt into a laughfest at 8 p.m. Wednesday, Nov. 7, when author and actress Jill Kargman takes the stage of the Aaron Family Main Sanctuary. The “Odd Mom Out” actress was the creator, writer, producer and star of the scripted Bravo TV series, playing a satirical version of herself navigating the hilarity of raising children on the Upper East Side in New York City. After graduating from Yale in 1995, Kargman started her writing career in the magazine world as an assistant and has written for Vogue, ELLE, Harper’s Bazaar, GQ, Condé Nast Traveler, Departures and Allure. She also created the column “EyeSpy” for Style.com, which ran for five years. After her magazine, movie and television work, Kargman began writing novels to give her more flexibility to be home with her three children: Sadie, Ivy, and Fletch. She is a New York Times best-selling author of multiple books, including “The Ex-Mrs. Hedgefund”; her personal essay collection, “Sometimes I Feel Like a Nut” (which was #3 on the Humor chart behind Chelsea Handler and David Sedaris); and “Momzillas,” which was translated into 14 languages and appeared on charts worldwide. Now, the native New Yorker will bring her brand of humor to Shearith in a Q&A format in which the audience will participate. Lisa Zale said she and Elaine Pearlman were serving on the Shearith Israel board when it was time to plan a fundraiser. Both had read Kargman’s New York Times best-selling books and had seen her television series. “We’re all chairs,” Zale added, about the fundraiser’s planning committee. Along with Zale and Pearlman, the group includes Dawn Aaron, Barbra Applebaum, Courtney Goldberg, Lauran Goldberg, Lisa Goldberg, Beth Konig, Ann Ochstein, and Jody Stein. Mark Oppenheimer will serve as moderator for the evening. Oppenheimer is an author, Yale University lecturer and host of “Unorthodox,” an irreverent weekly podcast about the news of the Jews, from Tel Aviv to Telluride, from (Natalie) Portman to Portland (Oregon). It’s the No. 1 Jewish-themed podcast on iTunes, with more than 2 million total downloads. It was at a taping of “Unorthodox” in New York that Zale and Konig heard Kargman and Oppenheimer together. 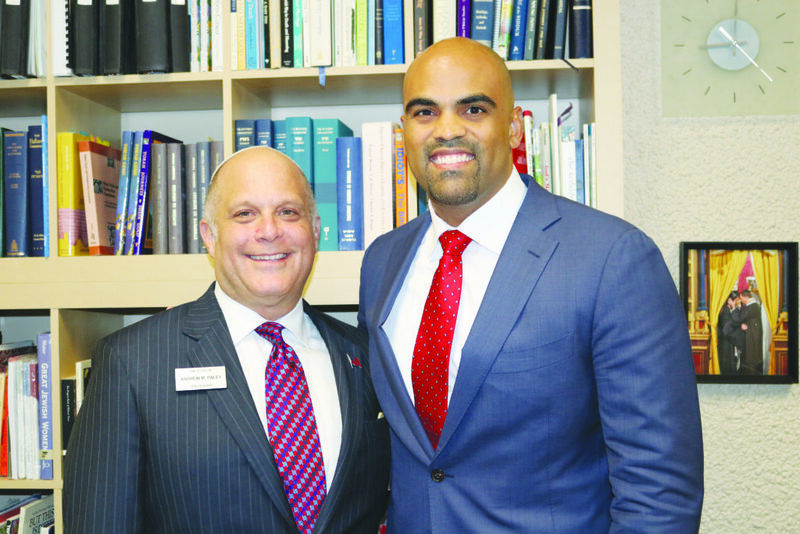 “The professional staff at Shearith have been wonderful partners,” Zale said. “We especially appreciate COO Kim West and Communications Director Julie Carpenter for their cooperation,” the women agreed. The performance is recommended for ages 21 and older. For tickets and information, visit www.shearith.org. To learn more about Kargman, go to jillkargman.com. Oppenheimer’s website is markoppenheimer.com. Last spring, WE came together to celebrate a Passover Seder with more than 30 participants gathering at Thanks-Giving Square in downtown Dallas. 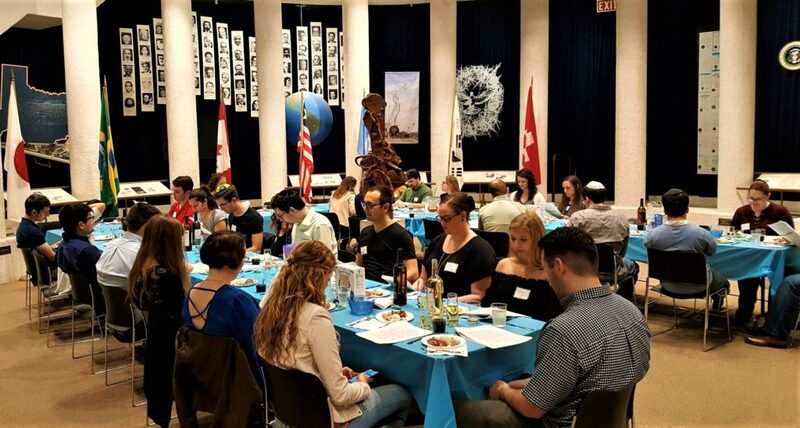 WE Shabbat, WE Learn and WE Social bring together members of Dallas’ millennial Jewish community. WE Jewish Dallas is coming together at 7 p.m. Friday, Oct. 26 — and on many occasions — for the community’s millennial spirit to shine. This week’s Sabbath blessings will be exchanged amid costumes, spooky drinks (BYOB) and dinner. WE — which stands for We Engage — is open to Jewish adults ages 21-35, graduate students and working professionals all seeking Jewish community. Programs are, with Coretz’s support, created by, for and of the participants. WE comprises young Jews gathering for friendship, learning and celebration, defined visually through the group’s logo created by WE board member William Taylor: a Jewish star, created of six puzzle pieces that interlock, as do attendees of WE’s programs — connecting and each finding a place, Coretz explained. The WE Advisory Board comprises Lance Barnard, Isaac Feigenbaum, Zee Herrera, Hannah Kavy, Mindy Le, Marissa Mackler, Lisa Raizes, Richard Raizes, Oscar Schechter, Chad Sheinbein, Taylor, Aaron Tverye, Samantha Waldman, Marlo Weisberg and Trish Weisberg. Programs are scheduled three times a month, each independent Events scheduled from now through February — WE Shabbat, WE Learn and WE Social — take place at SMU, at offices, venues and in the homes of participants and Rabbi Coretz. All events providing meals include vegetarian options. 2018 events have included a Passover Seder at Thanks-Giving Square, a WE Shabbat barbecue and a WE Shabbat + Tango with Spanish wine tasting, a night in the sukkah, and this Monday’s first Torah + Tacos dinner. Future WE Shabbat events include this week’s WE Spooky Shabbat, a Nov. 16 WE Shabbat + Art (Nasher Museum picnic), Jan. 18 WE Shabbat + Tu B’Shevat, and the Feb. 8 WE Shabbat +D (at D Magazine). Upcoming WE Learn programs, Torah + Tacos, are scheduled at 7:30 p.m. Nov. 19, Jan. 28 and Feb. 25. WE Social nights are a Nov. 8 WE + Dali (at the SMU Meadows Museum’s Dalí’s Aliyah: A Moment in Jewish History), a Dec. 5 WE Chanukah + Wine (Total Wine will host), Dec. 23 WE Sound Bath + Social (at member Rachel Fox’s The Refuge meditation center), and a Jan. 6 WE Movie + Discussion. A grant from the Jewish Federation of Greater Dallas, $10,000 for 2018-2019 and through the 2020-2021 year, and a gift from within the community makes it possible for most events to be free for participants. Joining the Federation in support are the family, colleagues and loved ones of Marion Sobol, of blessed memory, the first tenured female professor at SMU’s Cox School of Business. For additional details of times and locations, more information or to RSVP for WE events or further contact, visit the WEJewishDallas Facebook page or wedallas.org. 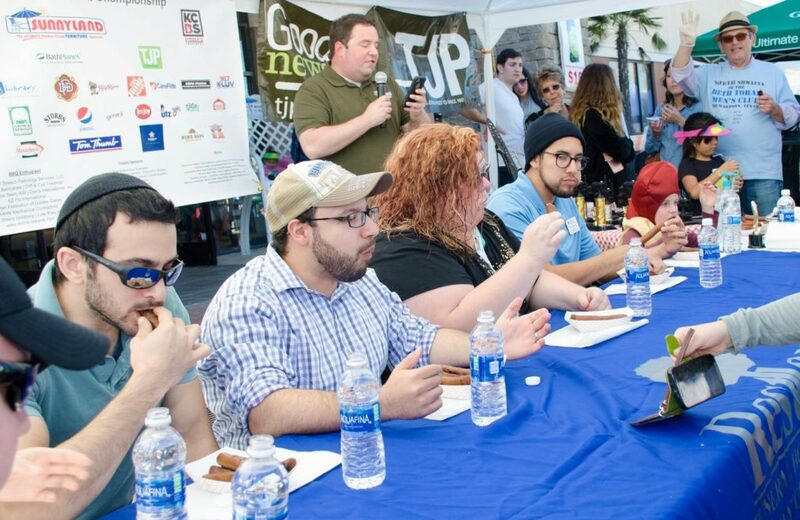 The Dallas Kosher BBQ Championship will feature a hot dog eating event, sponsored by the Texas Jewish Post, a pickle eating contest sponsored by Restland Funeral Home, the Elliot’s Hardware Kids Que cooking contest, music and activities for all ages. Admission is free and open to the public. Saucy and spirited is what guests of the Fourth Annual Dallas Kosher BBQ Championship can expect from 11 a.m.-4 p.m. Sunday, Oct. 28, in the Sunnyland Patio Furniture parking lot on the northwest corner of Coit and Spring Valley in North Dallas. Presented by the Men’s Club of Congregation Beth Torah, the championships are open to the public with free admission, a large kids’ zone, silent auction, vendors, entertainment featuring Counterfeit Radio and food for sale by Dallas’ Texas Kosher BBQ and JoeBob’s Kosher BBQ from Austin. Beef ribs, brisket, chicken and turkey will be judged for 12 teams (registered at press time), with participating chefs traveling from Chicago, Houston, Miami, New York and elsewhere. The competition, emceed by KLUV radio host Jody Dean has three sets of judges and awards; the Kansas City Barbecue Society(KCBS) Official, Celebrity Awards and the People’s Choice. KCBS-certified judges mark ballots in double-blind rulings of appearance, taste and texture, with awards for all four meats, also crowning the Grand Champion and Reserve Grand Champion, who share a $500 prize. Winners will be announced and trophies presented at about 3:30 p.m.
Celebrity judges Jill Grobowsky Bergus (Lockhart Smokehouse), Gabriel Boxer (the Kosher Guru), Vicki Nivens (Hard Eight BBQ), John Tesar (Knife Dallas) and Daniel Vaughn (author and first barbecue editor at Texas Monthly) determine a second contest, and a third set of judges, composed of attendees participating in the People’s Choice program, will determine those awards and announce the winners at 2 p.m. While the event is not centered on tasting entrant recipes, a limited number of $5 passes for People’s Choice Awards, either brisket or turkey, will be available after that judging at 2 p.m. Teams arrive empty-handed – other than recipes and ruach — with ingredients provided. Seasonings, herbs, meats and all utensils, smokers and grills are delivered to team captains, with Golden Barrel Molasses, Imperial Sugar, Manischewitz broths, TexJoy and others sponsoring the pantry. Among participants are the 2017 Grand Champion Stan Kotlyar and 2016 Grand Champion Rabbi Mendel “RaBBi-Q” Segal, who is credited with creating the first kosher barbecue championship in Kansas City. He’s now the owner of Backyard BBQ and Brew in Surfside, Florida. Competitors actually begin Thursday in cooks’ meetings, preparing, trimming and seasoning their meats, before packaging them for refrigeration over Shabbat. On Saturday night, once three stars are out, smokers and grills are set up. For Kotlyar, of Hartsdale, New York, says while he’s very competitive and focused, some of the best of the event is the up-all-night smoking of the meats, visiting and making friends with other participants. In addition to Congregation Beth Torah, proceeds from the event will benefit CHAI; Community Homes for Adults, Inc. The American Red Cross will collect blood donations, and food for the North Texas Food Bank will be accepted – a free raffle ticket distributed for every five items brought in. The Elliott’s Hardware-sponsored Kids Que contest will have 10 aspiring chefs cooking chicken legs, the youngsters 7-15 having access to a full pantry and, with parental supervision, creating their own barbecue masterpieces. Throughout the day, numerous other contests will take place, including a hot dog-eating event, sponsored by the Texas Jewish Post, and a pickle-eating contest, sponsored by Restland Funeral Home. For more information, to register for Kids Que, eating contests or to pre-order food, visit dallaskosherbbq.com. 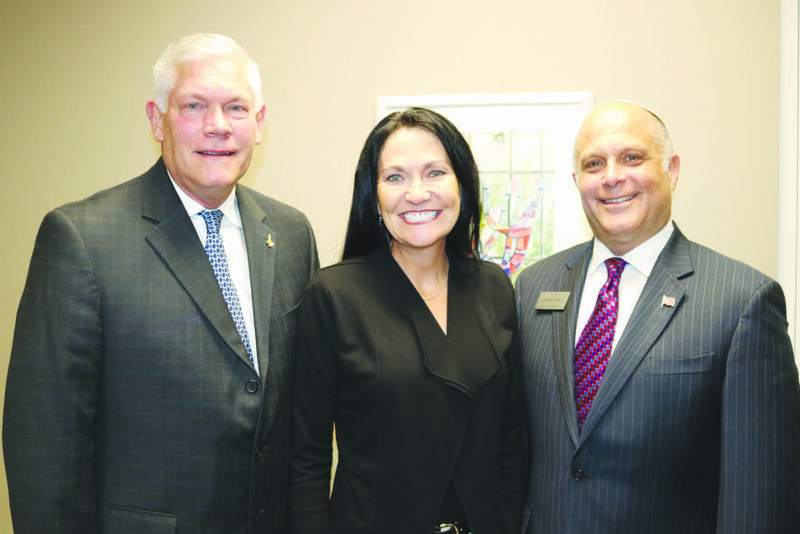 About the only things that U.S. Rep. Pete Sessions, R-Texas, and Colin Allred, his Democratic challenger for the District 32 seat in the Nov. 6 election, agreed on during Sunday’s debate at Temple Shalom was that this year’s midterms are about more than Republicans and Democrats, and that the U.S. embassy in Israel should be in Jerusalem. But even on that issue, they disagreed on the process by which it got there. The candidates discussed numerous topics in their last face-to-face encounter before early voting started Monday. The debate was organized by Temple Shalom, AJC Dallas and the Jewish-Latino Alliance, with Sam Baker, host of KERA radio’s “Morning Edition,” serving as moderator. Both candidates also expressed opposition to the BDS movement that has spread worldwide, with Allred, a Dallas lawyer and former Baylor and NFL football player who worked in the Obama administration, also using this point to advocate for a two-state solution to the Israel-Palestinian conflict. Sessions, in his opening statement, criticized Allred for opposing President Donald Trump’s decision to pull out of the nuclear deal with Iran. The candidates also had many differences on topics not related to Israel. On health care, Sessions touted his health-insurance proposal, which would allow people to keep insurance purchased under the Affordable Care Act (“Obamacare”), or choose another avenue “that moves someone up. The kind of insurance someone at AT&T, or Mary Kay, or Southwest Airlines has” and would cover pre-existing conditions. There would be no mandate. • Sexual assault and the #MeToo movement in the wake of the hearings concerning Supreme Court Justice Brett Kavanaugh. Allred said Congress needs to take action to clean up its own house. Sessions, without mentioning the names of Kavanaugh or his accuser, Christine Blasey Ford, decried the process that took place and Sen. Dianne Feinstein for keeping the accusation to herself. • Social Security: Allred criticized Senate Majority Leader Mitch McConnell for intimating that the budget deficit was caused by the Trump tax cuts and would be made up for by tapping into Social Security and Medicare reserves. Sessions said his opponent was wrong, that McConnell said ways must be found to secure Social Security and Medicare, and that the tax cuts added 4 million jobs that are enriching the Social Security trust fund. • Gun violence: Sessions said programs that address mental health and opioid abuse are the answer, while Allred said the answer is universal background checks and closing loopholes that allow people who, for example, are on the terror watch list to buy guns. The debate was co-chaired by Adam Lampert for AJC, Edward Retta for JLA and Mike Hirsh and Larry Schoenbrun representing Temple Shalom. The co-sponsors were joined by a broad range of community partners that helped promote the debate, mostly from the Jewish and Latino communities, in addition to a number of non-Jewish houses of worship. Early voting continues through Friday, Nov. 2, with most locations open this Saturday and Sunday. Election Day polls will be open 7 a.m.-7 p.m. Tuesday, Nov. 6.